How is China providing aid to Africa? 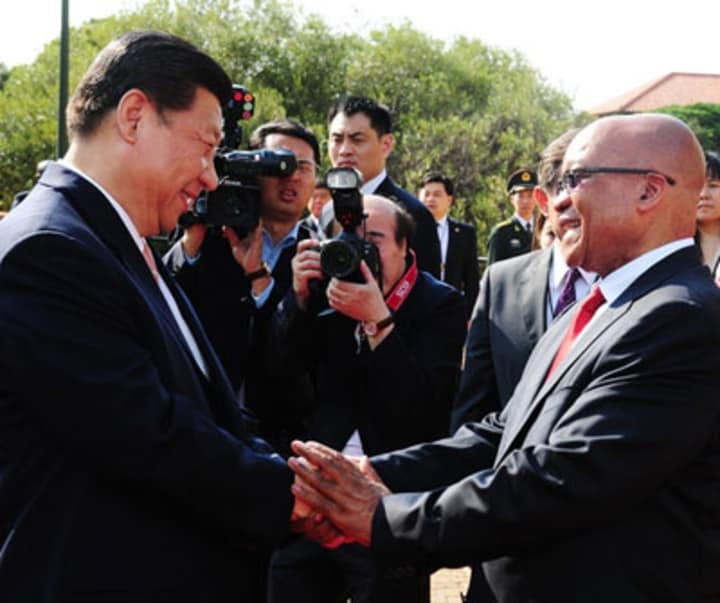 A new database tracking Chinese aid to African countries reveals unexpected patterns in Beijing’s funding priorities and focus sectors, but an expert on China-Africa relations is questioning these findings and the methodology used. The Center for Global Development and AidData, an international development research and innovation lab, this week launched a groundbreaking database tracking Chinese financial flows in Africa. The data provides specifics on 1,673 official projects involving $75 billion in 50 countries from 2000 to 2011. Despite widespread assumptions that Chinese aid to the region has a narrow focus on extractives and natural resources, the survey shows that the top three recipient sectors are government and civil society, health, and education. However a day after the report was launched, an American expert questioned its findings as well as the methodology, and her reaction was widely shared on social media by development professionals such as Oxfam’s Duncan Green and the Overseas Development Insitute’s Andy Norton. Washington, D.C.-based Deborah Brautigam, a professor of international development at Johns Hopkins University and author of the 2011 book “The Dragon’s Gift: The Real Story of China in Africa,” said in her blog that AidData’s numbers are “way off” and pointed out that, according to her data, the top recipients of Chinese aid are Angola, the Democratic Republic of Congo, Ethiopia and Sudan, not Ghana, Nigeria and Mauritania as the survey claims. “Yes, it’s a start, and yes, the goal is a good one, but the approach and the publication of this data at this early stage is a problem,” she added. Brautigam explained that relying on media reports for data collection on Chinese finance is “a very dicey methodology” and suggested that researchers first analyze their findings to draw conclusions from them before publishing the raw figures. Authors of the AidData report offered a detailed response to Brautigam’s critque, in which they defended their media-based methodology and, in turn, criticised the idea that data sets should not yet be made public. “Brautigam’s arguments seem to suggest that only a small group of people who she considers to be experts should be allowed to collect and analyze data on the nature, distribution, and effects of Chinese development finance. We disagree with this ‘gatekeeper’ approach,” wrote the AidData authors. China releases very little information on its aid activities; it also does not have a specialized agency coordinating development assistance activities and aggregating data. Users can now upload media reports, documents, videos and photographs to the database, not only to update existing entries but to challenge available data and suggest new projects as well. AidData researchers will vet and incorporate crowdsourced information. Moving forward, AidData said it plans to grow the database in both size and accuracy and add new features, such as geocoding of individual projects. Join Devex, the largest online community for international development, to network with peers, discover talent and forge new partnerships – it’s free! Then sign up for the Devex Impact newsletter to receive cutting-edge news and analysis every month on the intersection of business and development.